-According to Legend, when the Day and Night are in balance, our Pyramid will be visited by Kukulkan, the Feathered Serpent God. -Kukulkan returns to Earth to commune with his worshipers, and provide blessing for good health before entering the Sacred Water, bathing in it, and continuing through, on His way to the Underworld. 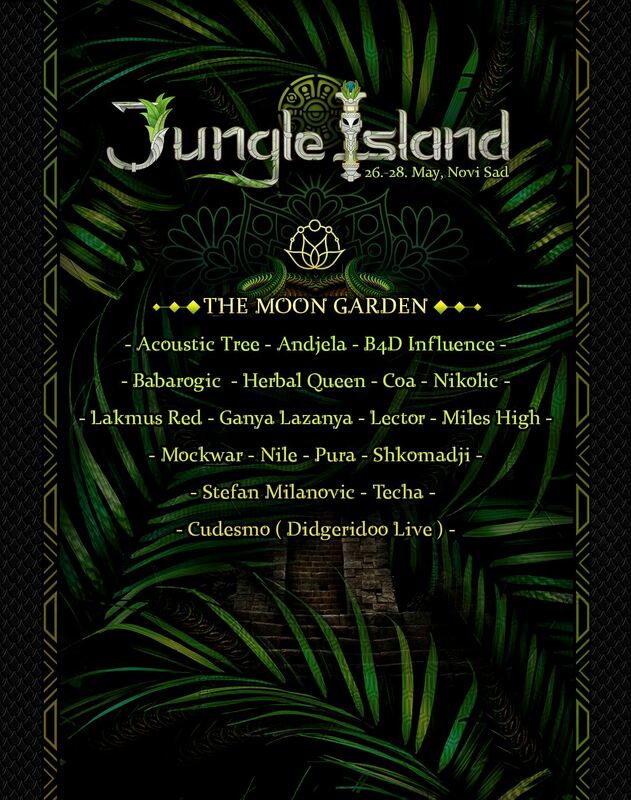 Jungle is the place where things go Wild! We decided to sail the river Danube with you once more, and take over the Jungle with our First Open-air Festival in 2017. So get your camping bags, call your tribe and enjoy the boat ride to The Jungle Island, located on the part of the river near Kamenjar, Novi Sad. WE ARE HAPPY TO ANNOUNCE THAT BOTH STAGES WILL BE POWERED BY Audiolab - Sound Reinforcement / Stage Productions !!! SO GET READY TO SHAKE WITH THE GROUND! 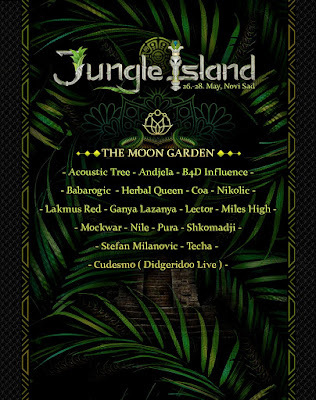 *The first 300 tickets for the complete program of the Jungle Island Festival 2017 at the price of 20€ are SOLD OUT! You are able to get your tickets at the price of 25€. This price remains until the first day of the event, at wich time the tickets will be at the gate, at the price of 30€. -One day tickets can only be bought for Saturday. They will be 15€ at the gate, if there is any left. -The ticket prices include a boat ride to the Island and back, as well as camping spot.